BookKeeping Express, a national company that provides businesses with professional bookkeeping services, was founded in 1984 in California and grew to over 150 locations through licensing agreements. 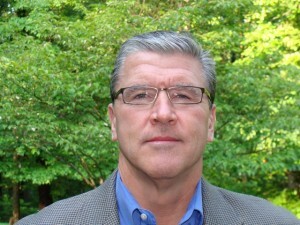 In 2007, Greg Jones, along with Bob Stocker and Merritt Green, purchased the company and launched the new business model in January 2008. The franchise has grown to more than 40 offices in the United States and Canada. Recently, I had the opportunity to interview Greg Jones, CEO of BookKeeping Express, about the company’s new CPA Express Program for accountants and CPAs. Franchise Chatter (FC): How can your new CPA Express Program help accountants and CPAs expand their practice? Greg Jones (GJ): BookKeeping Express, the first U.S. franchise focused solely on bookkeeping services, is providing a competitive advantage to accountants and CPAs who want to get back to focusing on their core competencies; like analyzing numbers, growing their business, increasing client retention, and keeping clients compliant, while offering a bookkeeping service that drives additional revenue. CPAs are able to reduce operational costs and have less management and HR burden. Additionally, CPA Express provides 24/7 access to client reports and data along with secure hosting and storage capabilities. FC: What are the costs involved (from the initial outlay to ongoing expenses) to participate in the CPA Express Program? GJ: There are no upfront costs to the CPA/Accounting firm and all work is priced out according to the work effort (per account). The CPA firm will be charged/billed an hourly fee for the work, and they would turn around and bill the clients their normal rate. FC: What specific tasks can accountants and CPAs outsource to CPA Express professionals? GJ: All bookkeeping and accounting work up to, but not including, Tax and Audit work. FC: What systems do you have in place to ensure that the work done by your CPA Express professionals conform to industry standards? GJ: With services offered through CPA Express, CPAs are assigned a dedicated team of professionals who are efficient, certified, and trustworthy. CPAs can count on CPA Express professionals for setting up charts of accounts and general ledgers, monthly data entry, processing and managing accounts payable and accounts receivable, producing monthly reports, and tax reporting. The CPA Express teams are scalable to handle any size client, and with the team center located in Newport News, Virginia, all work is always done in the U.S.
FC: What are the benefits of using your BKE Connect System? GJ: Our BKE Connect System allows businesses access to all bookkeeping files remotely through a secure outside server. It includes a dashboard that clearly and visually “sums up” the business’ operations for thorough analysis. Plus, business owners can synchronize their QuickBooks and enjoy convenient, anytime access to their financial documents through BKE EDocs, an electronic filing system designed to provide secure, online storage of financial documents. FC: How can interested accountants and CPAs learn more about your CPA Express Program? GJ: CPAs and accountants can go to our website, bookkeepingexpress.com, and fill out an inquiry form or they can contact Brandey Rodgers at brodgers@bookkeepingexpress.com.